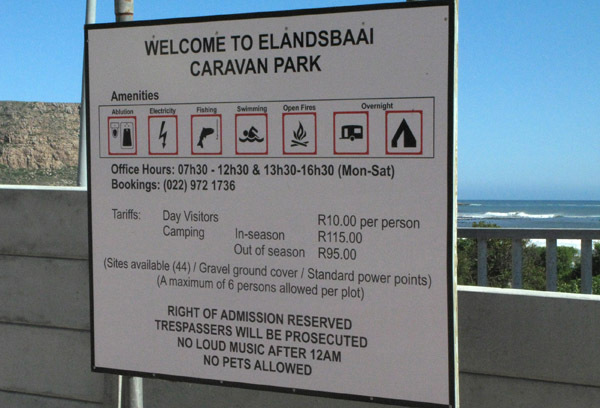 Although I did not stay at Elands Bay Caravan Park I did take a drive through to go and have a look and am going to include it in this post as I have found out that both parks have the same contact person and telephone numbers and are therefore connected. 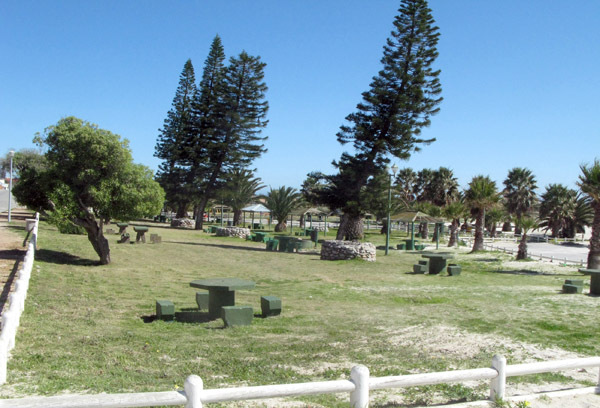 Lets start with the Lamberts Bay park. I had been warned by quite a few fellow caravanner’s to avoid this park as it is not good and judged on value for money has to rank up there with the worst I have stayed at thus far. 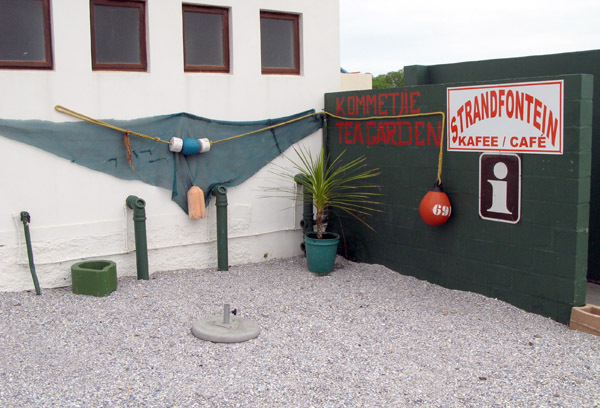 They charged me R100.00 per night and to be honest if it had not been that I wanted to spend a few days exploring Lamberts Bay itself I would have moved on after 1 night. The entrance to the park. Not exactly inspiring. The office area. All bars and no information brochures. Very unfriendly. 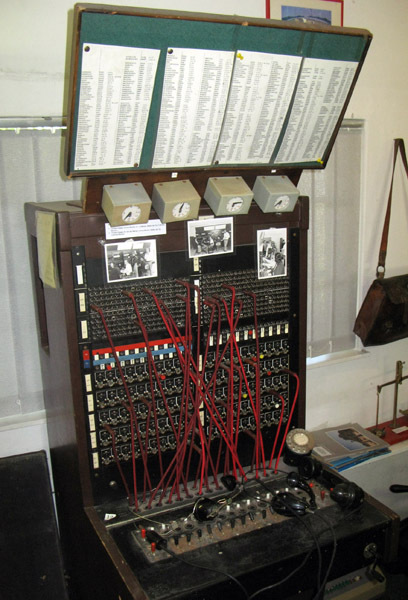 Some of the more than 268 sites. It is a huge park and I would hate to stay there in season. More sites and that is my set-up. I did not even bother putting up the tent. They have 40 sites with private ablutions which cost even more. 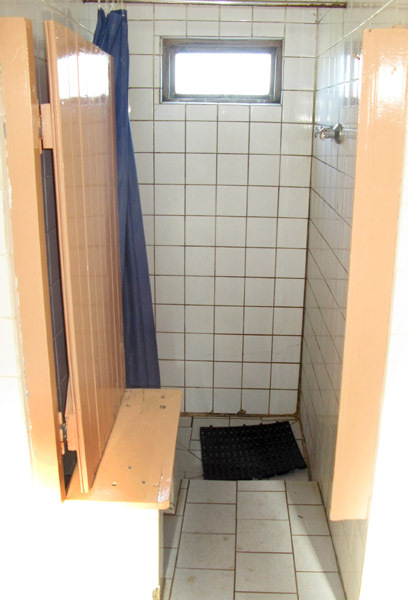 Shower in the general ablution block. I would love to know when those shower curtains were last changed. I felt unclean even after a shower. 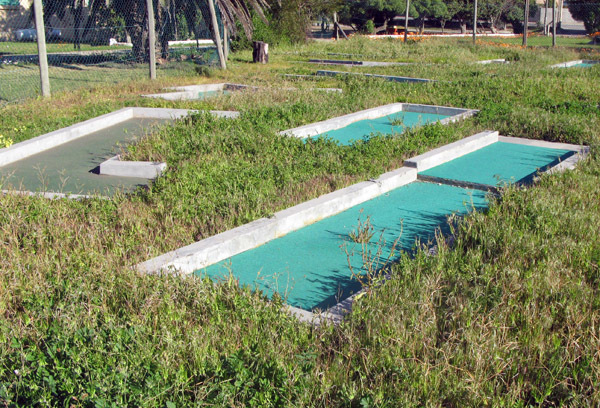 Old unkempt crazy golf course. It just looks so messy. One of the major selling points is that the park is right next to the sea but as you can see there is no way you can get to it!! Surely there must be keys, that they could take a deposit for, so that patrons could go for a walk on the beach? Overall I thought the park was pretty poor considering what they were charging. If I had been paying R60.00 a night I would not have felt so ripped off. 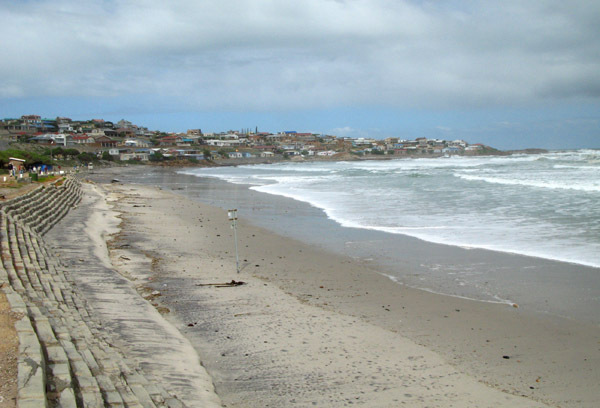 Onto Elands Bay Caravan Park. As I said both parks fall under the same management and it shows. I did not stay here and personally never would but I did read some comments on the internet by someone who did. “Terrible camp-site – neglected – poor maintenance” and from what I saw he was spot on. 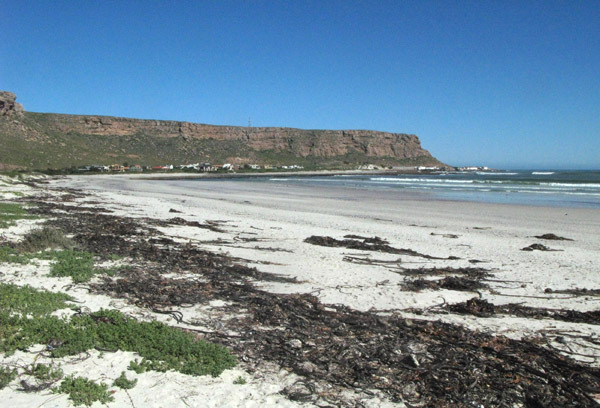 The writer did also say that the site had great potential and I felt the same about the whole of Elands Bay. Everything just looked so neglected. 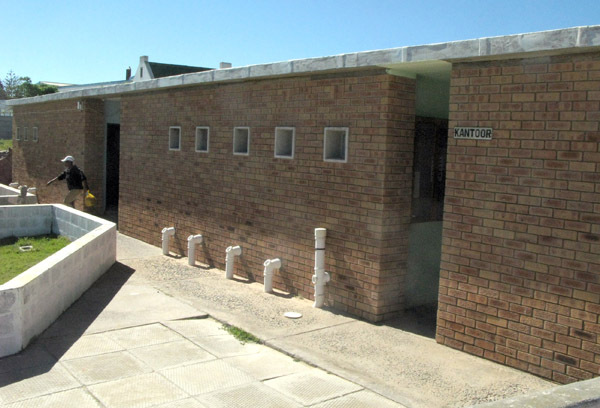 The ablution block. To be honest I could not force myself to go inside. View of the beach from near the park. 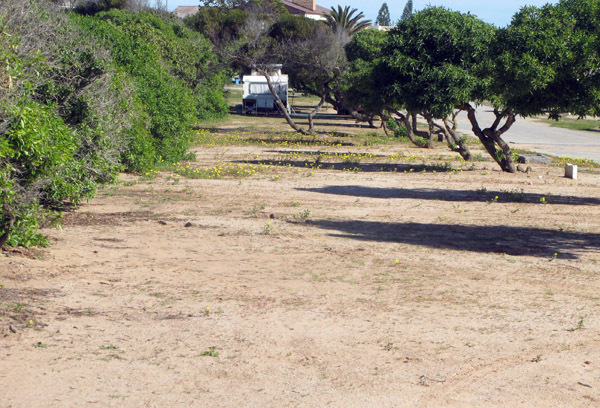 I agree that there is huge potential both for the caravan park and for Elands Bay in general and from some of the things I was told there will hopefully be some major changes in the near future. 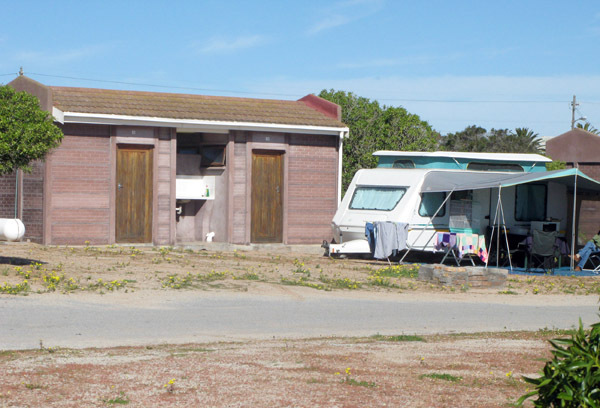 Just by the way I found another small caravan park about 4 km’s from Elands Bay that is great and charges the same price per night, R100.00, with a private ablution block. I will write a post on that soon. 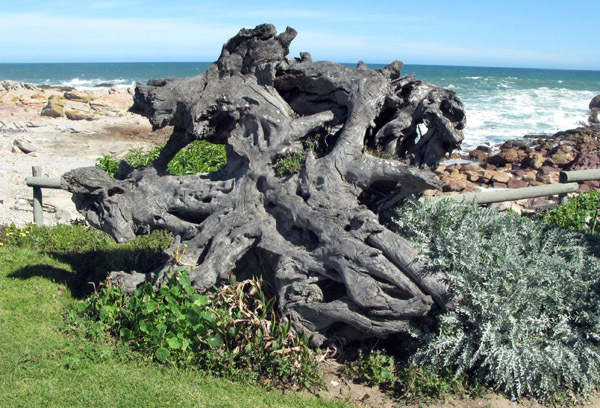 Apart from the normal attractions of most seaside villages – great beaches, surf and wind surfing, hikes etc – Lamberts Bay offers a few special attractions that are well worth spending some time exploring. 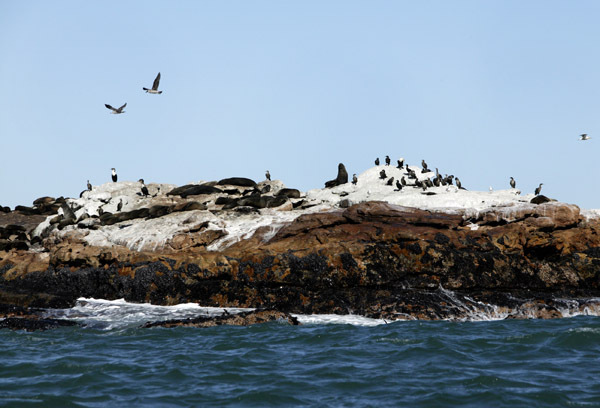 The first of these is called Bird Island and is situated in the harbour area. 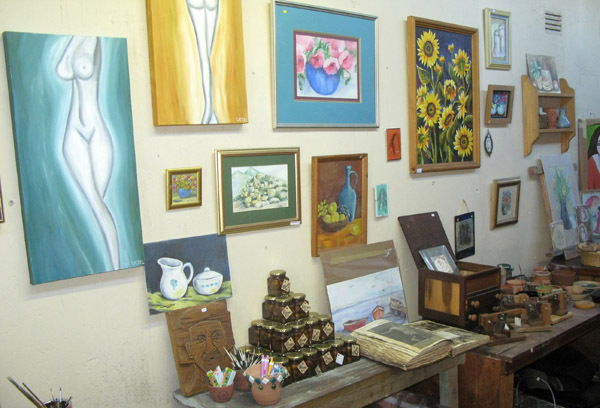 There is an entrance fee of R20.00 but that does also allow one to walk to the end of the pier and get some great views of Lamberts Bay, the beaches and the boats in the harbour. 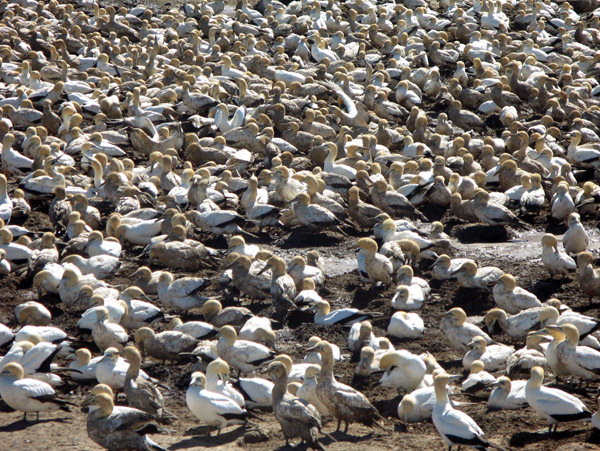 One of Lamberts Bays jewels is the sea-bird breeding colonies on the internationally famous Bird Island which has the most accessible Cape Gannet colony in the world. Gannets packed together like sardines? There are thousands of these birds packed together on quite a small area of the island and I was told they do this as a form of protection from their main enemy, the seals on nearby Seal Island. 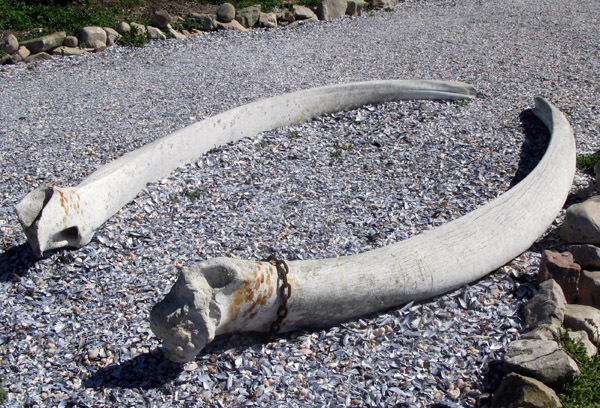 Whale bones on one of the walkways. Not sure if this sign was for the tourists or the birds. I am always amazed how these beautiful flowers manage to grow just about anywhere. 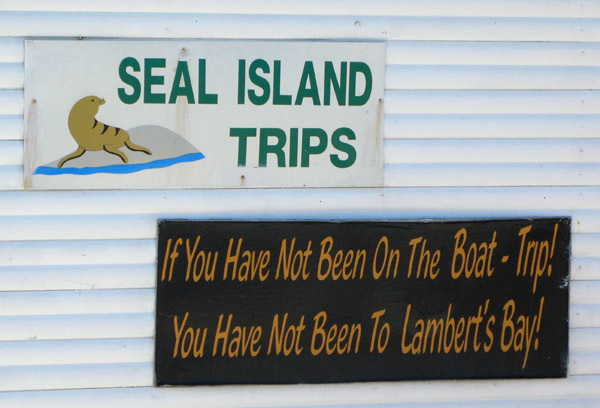 Another of Lamberts Bay’s main attractions is to take a boat trip to go have a look at Seal Island and hopefully to spot some dolphins on the way. All aboard for Seal Island. 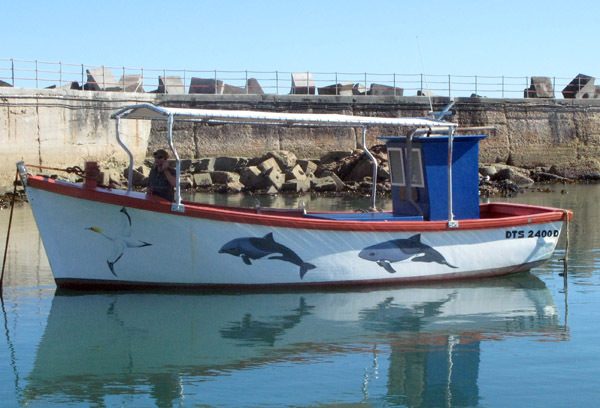 The round trip costs R150.00 per person and if you are lucky one normally sees quite a lot of dolphins as they have become used to the boat and come up really close. I was not that lucky as they just streaked around the boat and did not do any jumping. As a result I only managed 1 or 2 photographs and they were not great. 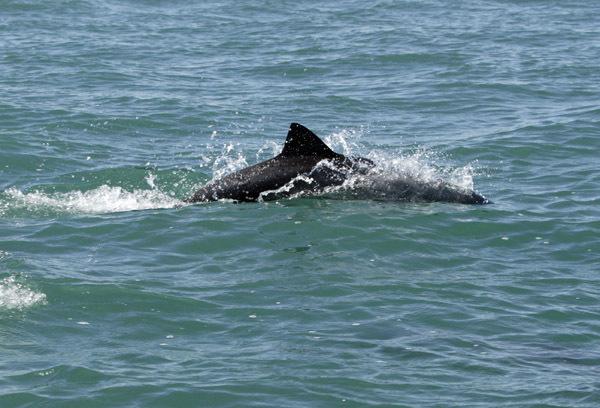 This is a Heaviside Dolphin and is quite rare. 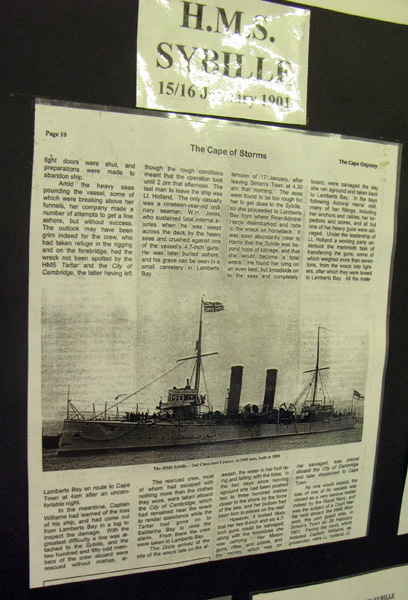 I had heard about a shipwreck, about 5 km’s from Lamberts Bay, that happened in 1901. The ship was HMS Sybille, a twin screw 3,400 ton second class cruiser. 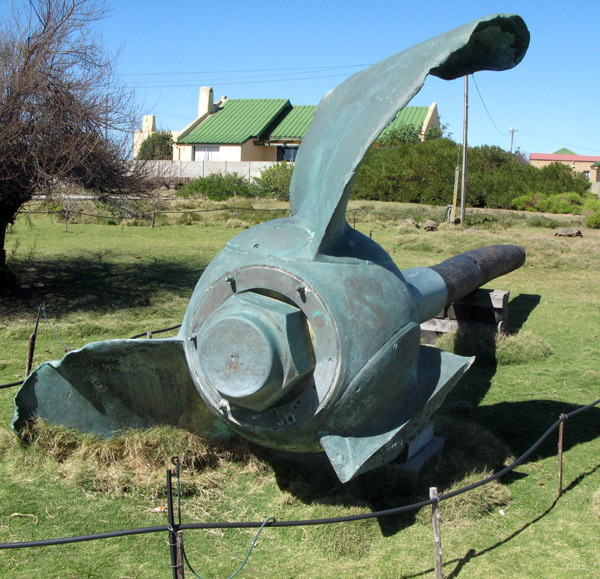 The ship was sent to Lamberts Bay as a patrol boat during the Anglo Boer war (1899 – 1902). 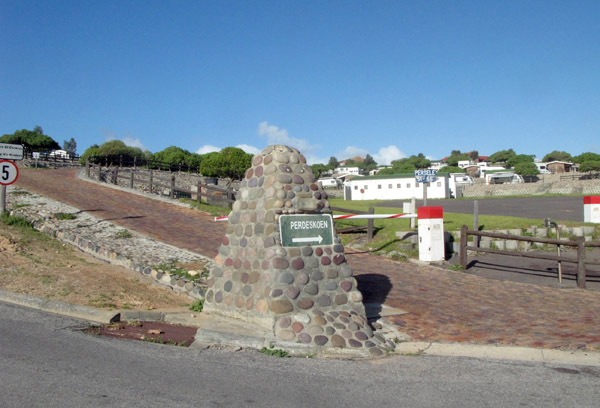 On the morning of 16 January 1901 she struck a reef near the farm Steenboksfontein. The crew were all saved and guns and torpedoes salvaged. 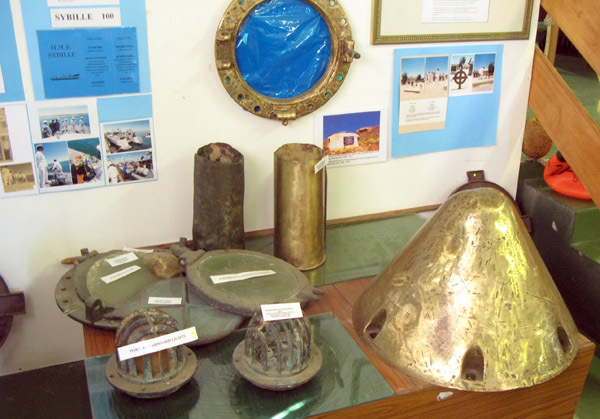 Unfortunately, because of the exposed reef that she ran aground on, there is nothing of the wreck left to see but there are some wonderful artefacts at the Sandveld Museum in Lamberts Bay. Write up about the Sybille. A display of artefacts from the Sybille. One of the propellers from the Sybille. 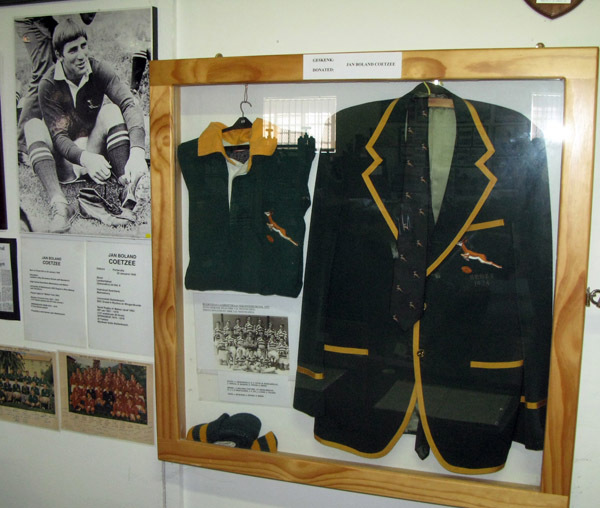 There were other really interesting displays in the museum, which was opened in 1980, and is at present run by the the Friends of the Museum. The day I went there it was officially closed but the friends were having a meeting and kindly let me browse around. 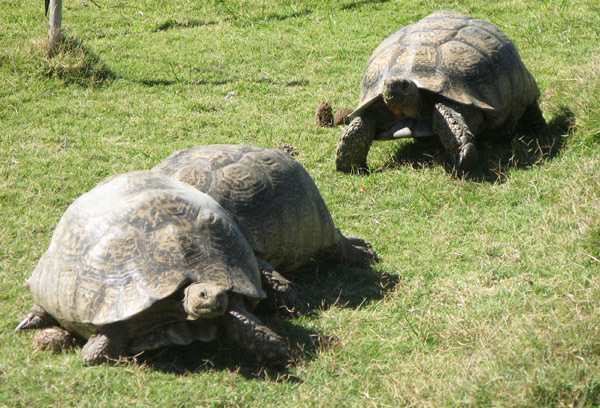 While outside the museum photographing the Sybille’s propeller I came across many of these tortoises, from tiny babies to pretty large adults. They can grow up to 50 cm in length and have a mass of over 13 kilograms. Come rain or shine one of the Friends of the Museum comes in everyday to feed them. 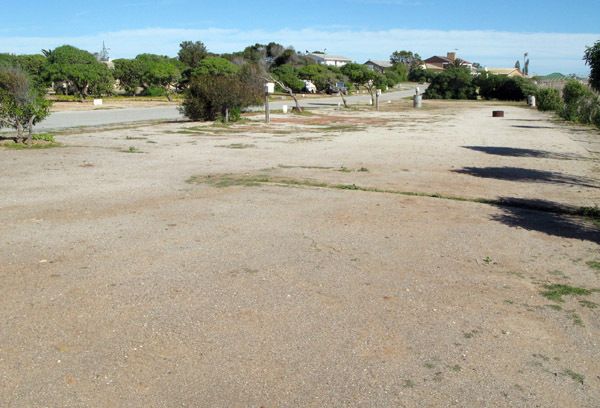 I still have one more post to do on Lamberts Bay and that is going to be a short one on the Caravan Park. 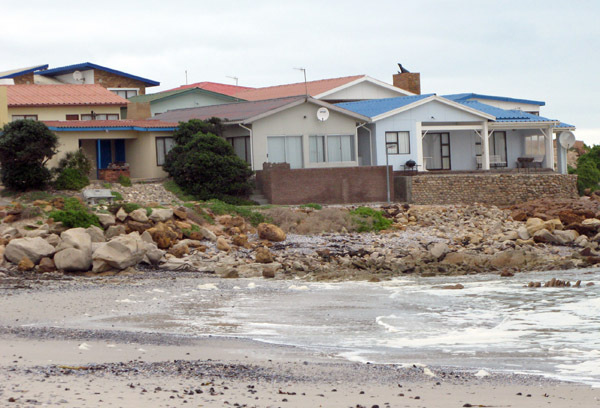 Lamberts Bay is situated 260km’s north of Cape Town on the West Coast. 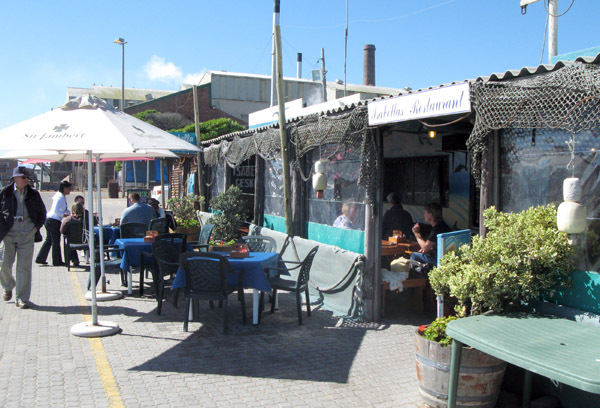 It is well known for its sea food and is in the heart of crayfish country. 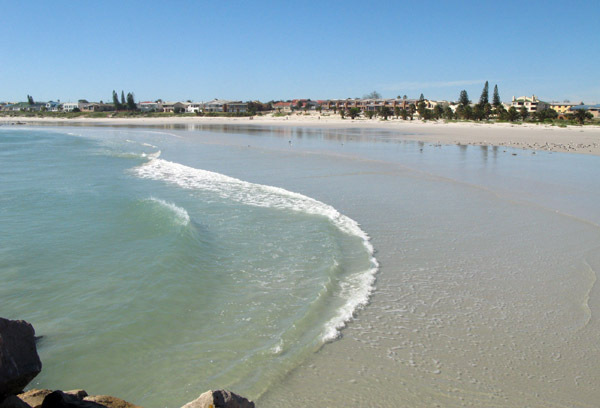 It attracts holiday makers, week-enders and day trippers almost all year round. 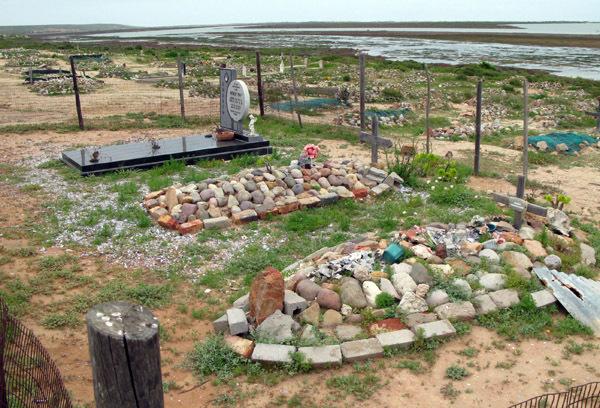 Crayfish season is from November to April and every year in April the masses descend on Lamberts Bay for the Crayfish Festival. 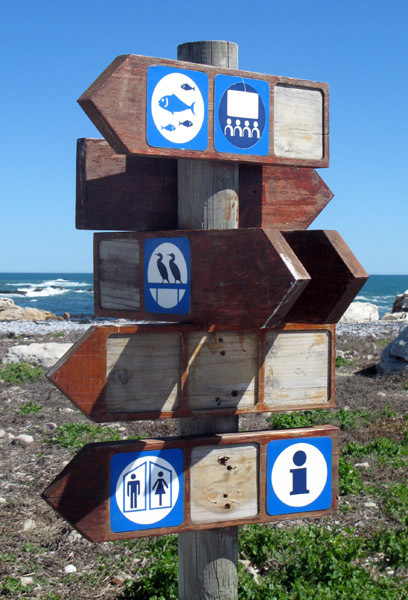 There are plenty of things to do and see in Lamberts Bay. Apart from white beaches and blue waters there is a 9 hole golf course, 4×4 and hiking trails, fishing, surfing, bird watching and, in season, there are good whale watching opportunities. I decided the best way to get a feel of the place was to go walk about and talk to some of the locals. 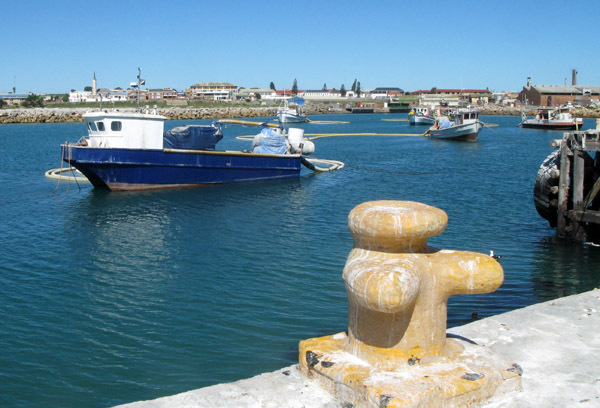 There is no doubt that central to Lamberts Bay is the harbour area. The fish factories, Bird Island, diamond divers boats and the well known Dolphin and Seal Island boat trips launch from here. 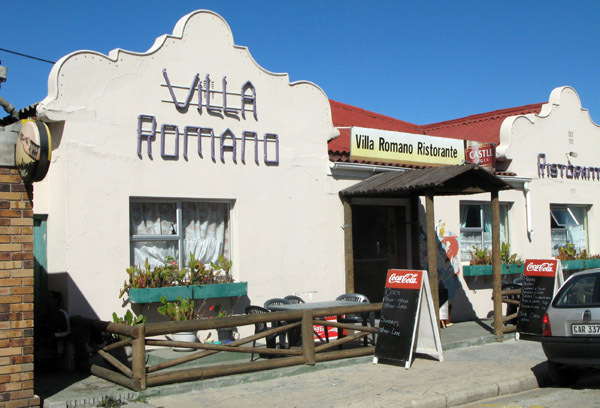 One of the many restaurants in Lamberts Bay. And another. This one was in the harbour area so had a really great atmosphere. 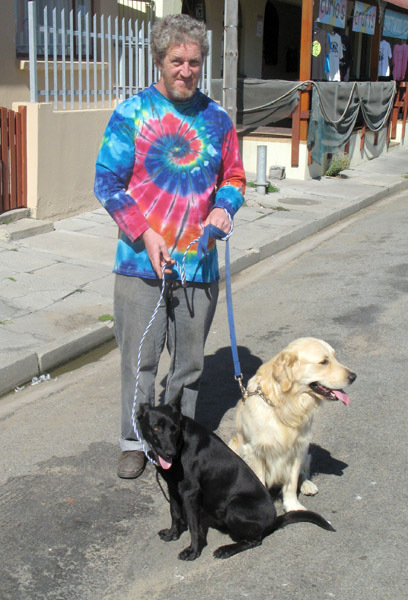 Bumped into Jakes taking his dogs for a walk – the black dog on the left is called “Thandi” and Jakes jokingly refers to her as a Khoisan Hunting Hound, and the other, a very beautiful Golden Retriever, is called Rupert. Jakes knows George from McDougalls Bay and we had a long chat about the future of diamond divers on the West Coast. Jakes seemed a bit more positive about it all compared to others I have spoken to. Jakes and his wife Adele have just recently taken over RT Gifts so I popped in to have a look around. 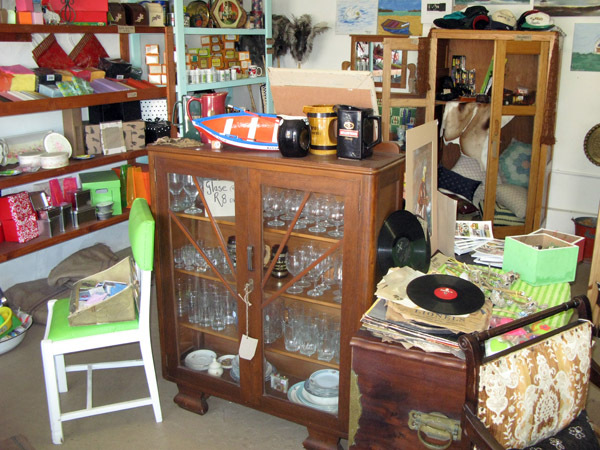 Some of the good for sale at RT Gifts. 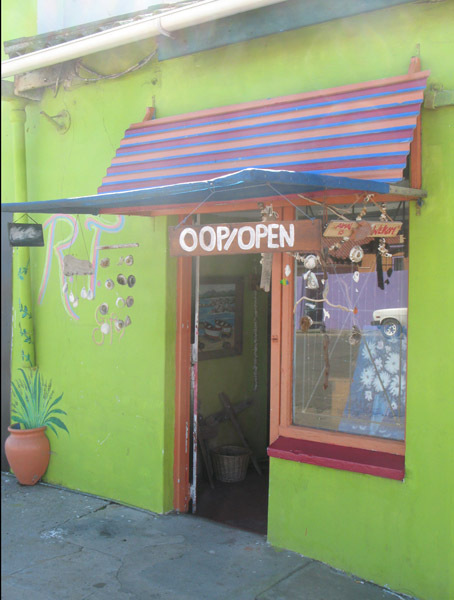 The owner of the shop described the goods for sale as “iets van alles” – a bit of everything. One thing for sure is that if you wanted to stay overnight or longer you would have no problem finding accommodation. 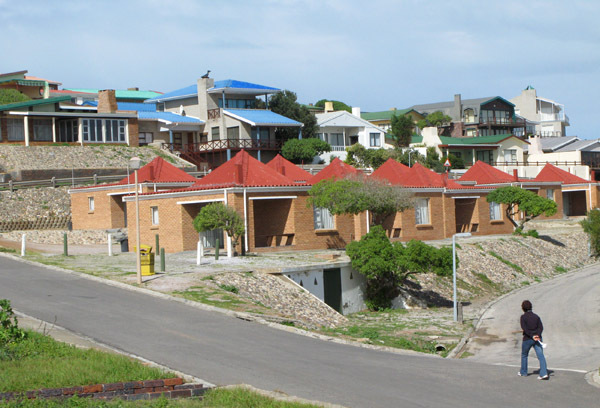 Apart from the Lamberts Bay Hotel and many self service flats available it looked as if every second house had accommodation available. Found this on th beach front but have no idea what it is. I just liked the shape. 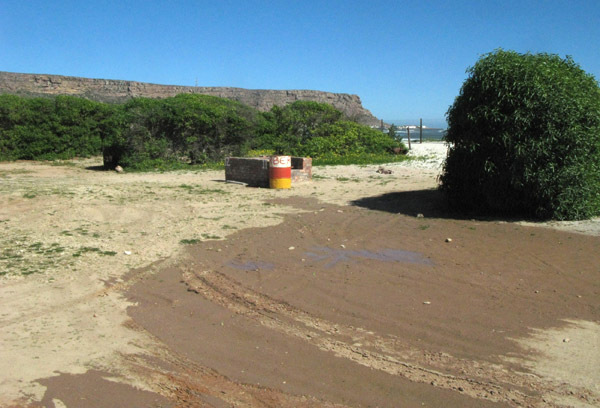 Well maintained braai (barbecue) area at the beach front. Thought of my daughter when I saw this as I know it's her dream to have a place right on the sea front. The one negative thing about Lamberts Bay are the number of street sellers and beggars that are allowed to hassle and badger one in quite an aggressive way. I find it very off putting and am sure that something could be done about it. 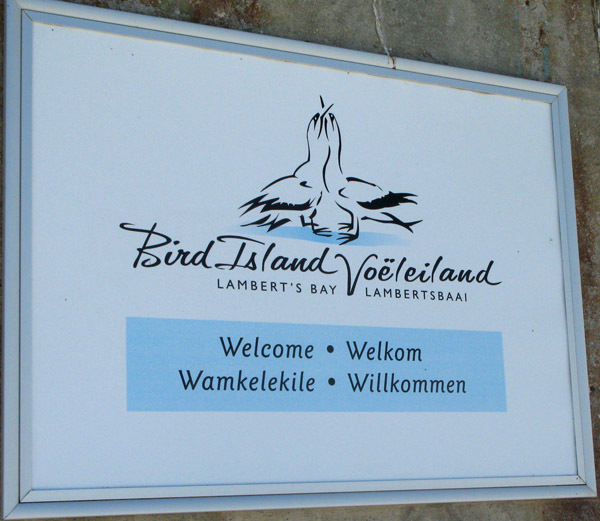 There is plenty more to see and do in Lamberts Bay so I am going to do a second post showing the attractions such as Bird Island, Seal Island, a boat trip to see the dolphins and the museum which had some really interesting displays. 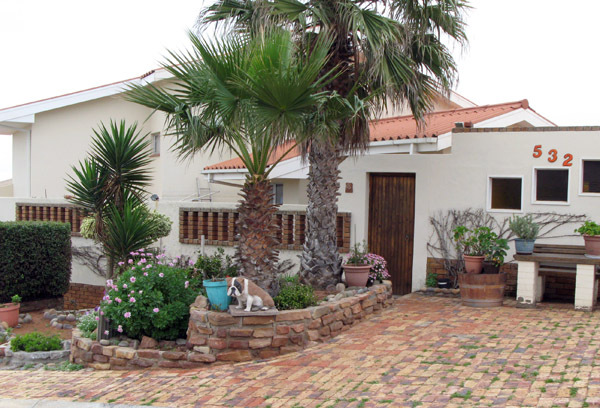 I left Strandfontein on Friday morning as I had decided that R125.00 per night over weekends was a bit steep for me and to rather head for Lamberts Bay further south along the west coast. 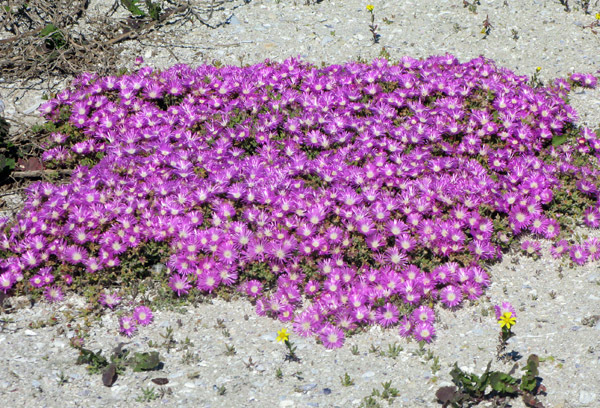 I had heard from numerous other campers that Lamberts Bay and Elands Bay caravan parks were not too great and quite expensive but thought there must be some interesting photographs to be had in the area so would take the chance. 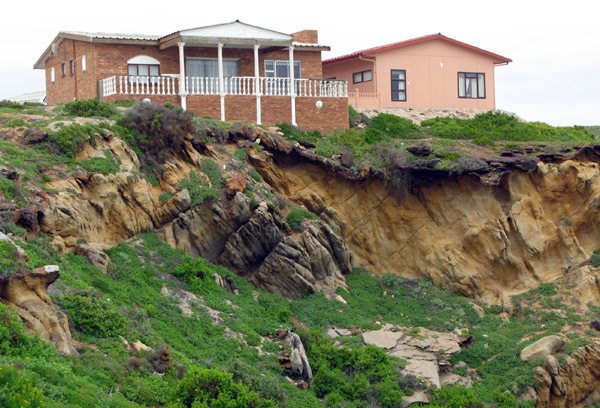 About 7 km’s from Strandfontein I came across the small settlement of Papendorp situated overlooking the Olifants River Estuary. 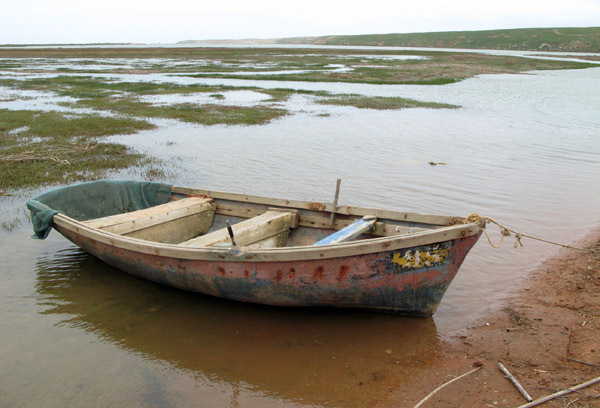 With future recognition as a RAMSAR site the wetlands of the estuary are an important habitat for migratory birds. 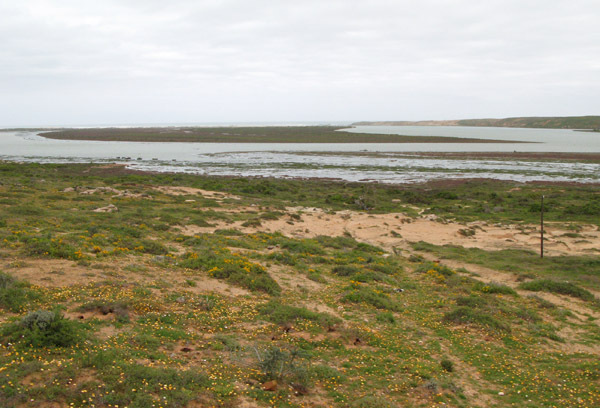 The Olifants River Estuary earmarked to become a RAMSAR site. 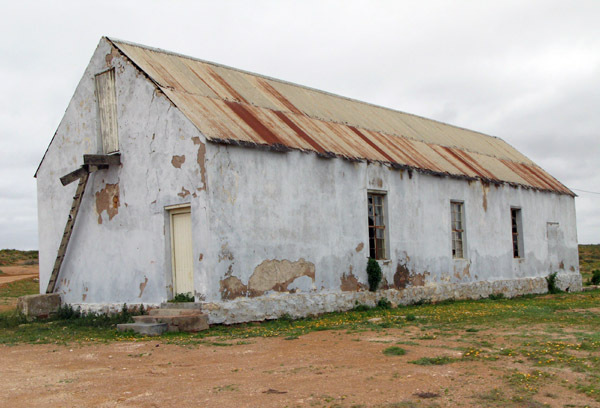 This old building used to serve as church, school and community hall. 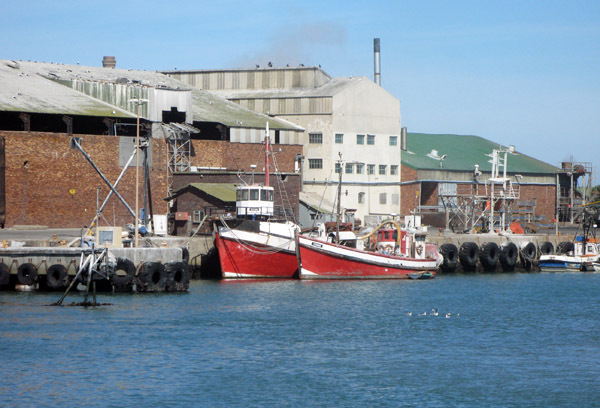 Residents of Papendorp derive their livelihood from fishing. 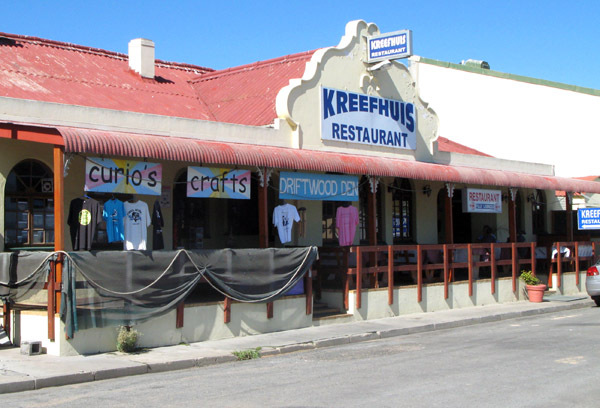 With its own unique character Papendorp makes you wonder if time has stood still since the first people who came to live here. Fishing nets are still made by hand and visitors can experience the salty taste of home made “bokkoms” – salted and dried by the locals. 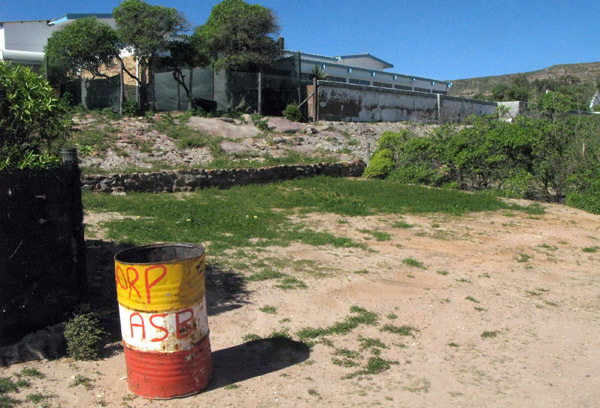 Things might change quite a lot in the future when Papendorp officially is declared a RAMSAR site and already a guest house has been built and they are now busy building 6 or 7 chalets. 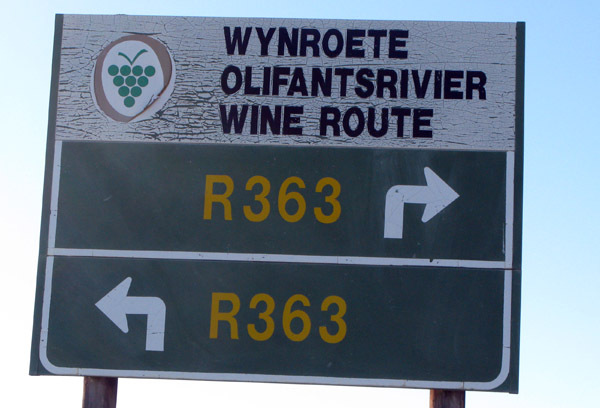 I was amazed as I drove towards Lutzville and Vredendal to see mile after mile of vineyards. 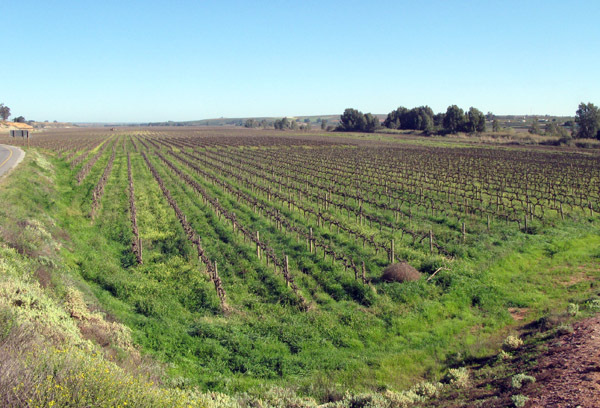 I had had no idea that quality wine was produced in such vast quantities in the area. 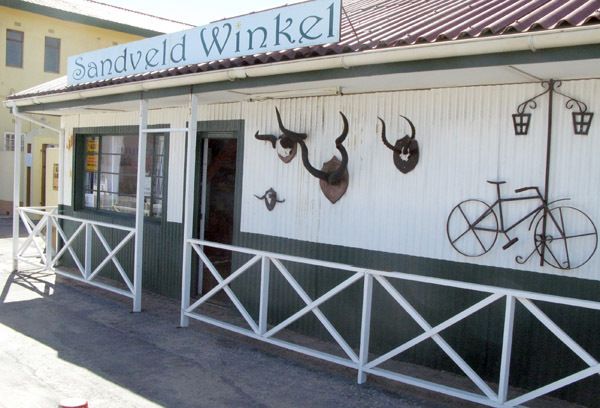 In fact Vredendal is home to the largest wine cellar in South Africa and has a number of boutique wineries and a dried fruit depot. 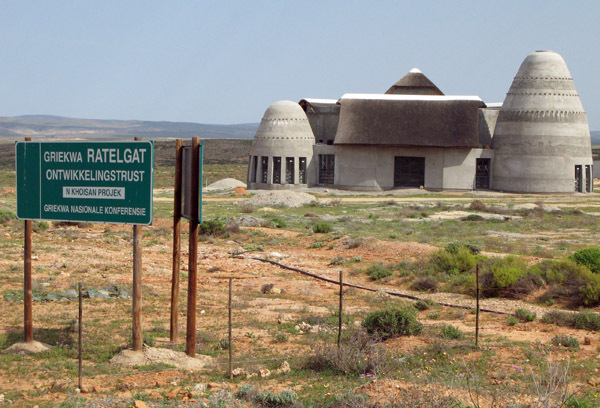 This shot is a bit of a sneaky one as I took it on my way down from Kamieskroon to Strandfontein and just love the shape of the building. 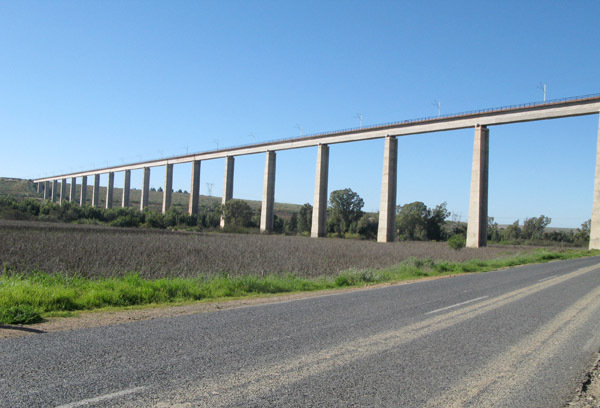 It is situated a couple of km’s north of Vanrhyansdorp. 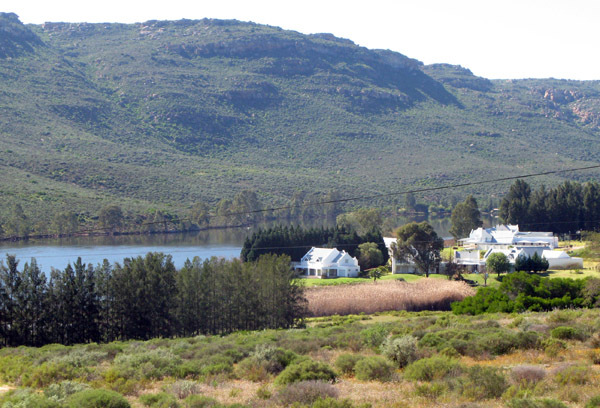 Development just north of Clanwilliam. 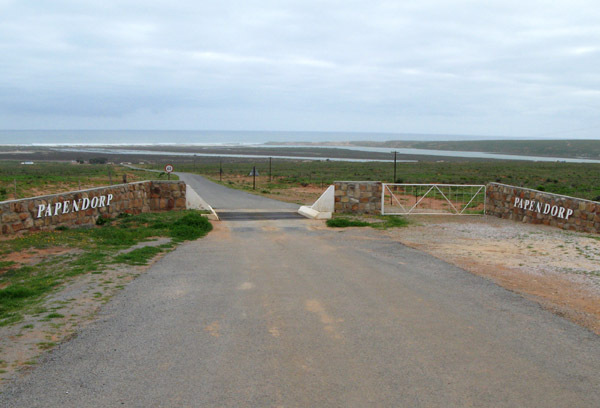 My turn off to get to Lamberts Bay was at Clanwilliam so I thought to have a quick look round and that was a huge mistake. The town was busy and I have never seen a worse main road in my life. It was incredibly narrow and had a really bad surface with many, many potholes. It was a nightmare!!. I also took a wrong turn trying to get to one of the caravan parks and had to try and execute a 3 point type turn with the caravan behind me. I am not the most expert at reversing and turning so it took me a while to extricate myself from that mess. 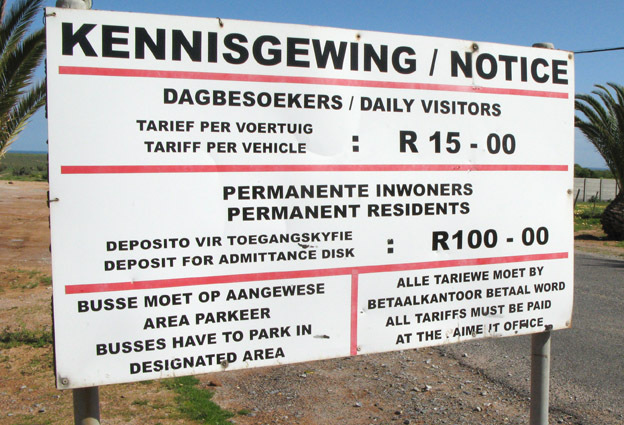 When I did find the park I was given a price of R150.00 with no concessions. The drive from Clanwilliam down to Lamberts Bay via Graafwater went off with out any problems and I arrived at Lamberts Bay just before lunch. 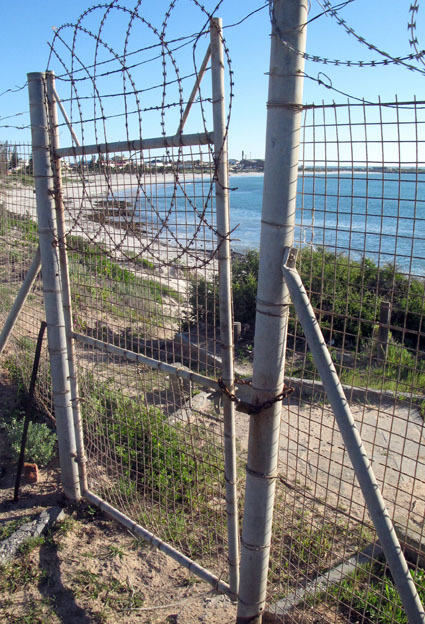 Lamberts Bay looks really interesting and I want to write a few posts in the next couple of days and also show you around the caravan park. The stories I had heard about it were spot on. 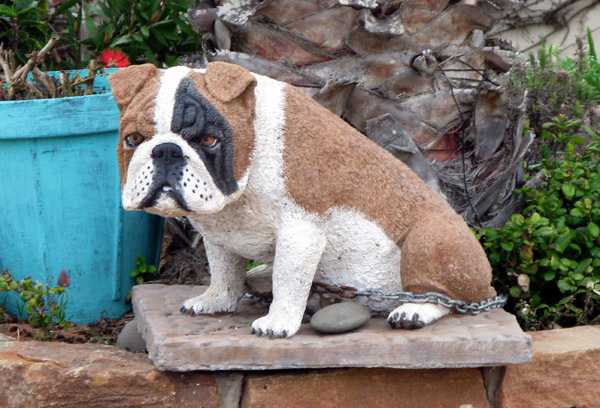 The thing to understand about Strandfontein is that it is not a town but a holiday resort. I found it quite a strange place as a result of this. Nothing was quite real, it all seemed a bit false, too perfect. Maybe the 2 photos below will illustrate my point. Is this to make money or keep certain people out? It is a gated community – pay to get in as a day tripper and there is even a boom at the entrance to the resort which to be honest was up all the time I was there but I bet in season they make use of it. Maybe its just me and everyone else loves the place but I found it bland with no soul or spirit. 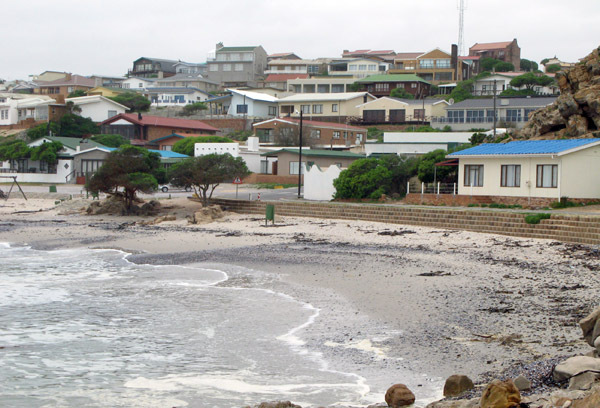 My feelings were confirmed when I had a chat to people who live just down the road at Doringbaai as they had heard others say similar things. As I said I am sure most love it! 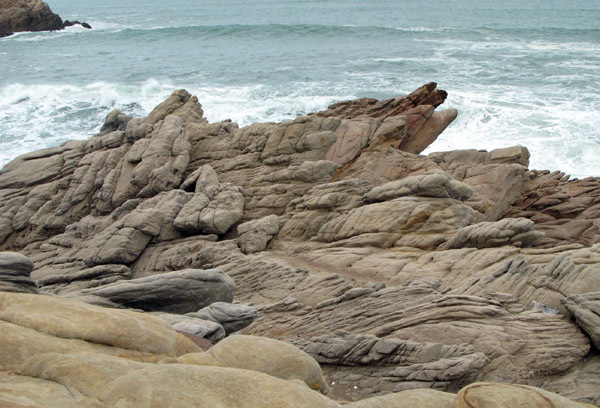 Some of the rock formations were fascinating. Looking across the beach. as you can see most of the houses are pretty modern. Looking across the beach from the other side. 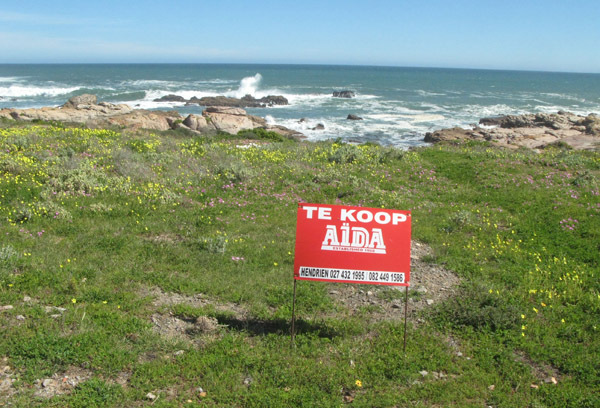 Being from Cape Town I got quite homesick when I saw these names. I actually live near Kommetjie. This is the only shop I saw in the resort. The caravan park is laid out in 2 sections. On the beach front is block “A” which is the most expensive and then further back is what is call “Perdeskoen” (Horseshoe). The section of the park I stayed in. The park is laid out at different levels in the shape of a horseshoe. 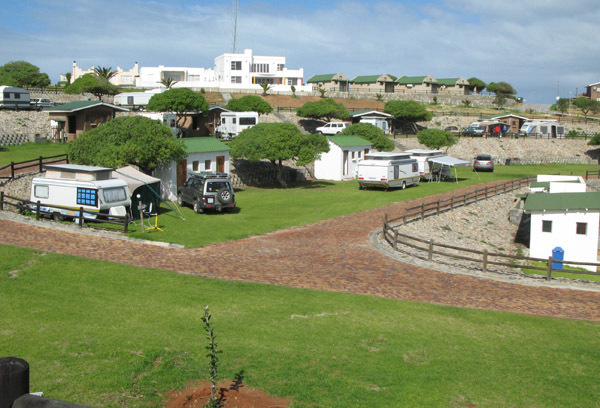 As you can see nice green grassed site and the little white building on the right was my own private ablution block. 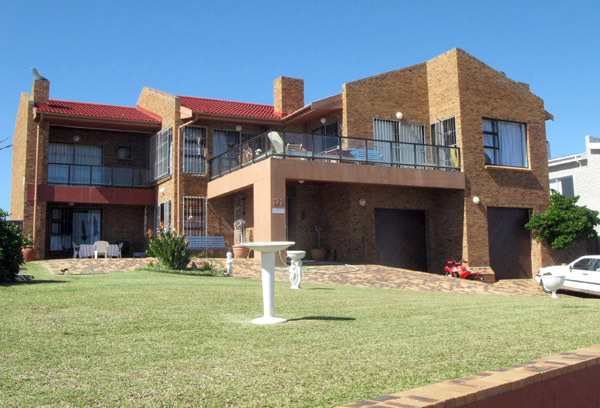 The prices over weekends are pretty steep for someone like me travelling on my own at R125.00 per night but reasonable during the week at R75.00. I worked out later that the only reason I got private ablutions was that otherwise they would have had to open the main block just for one person. One complaint is that they spent quite a bit of money setting this up and then go and use the cheapest, nastiest plastic toilet seats they could find. 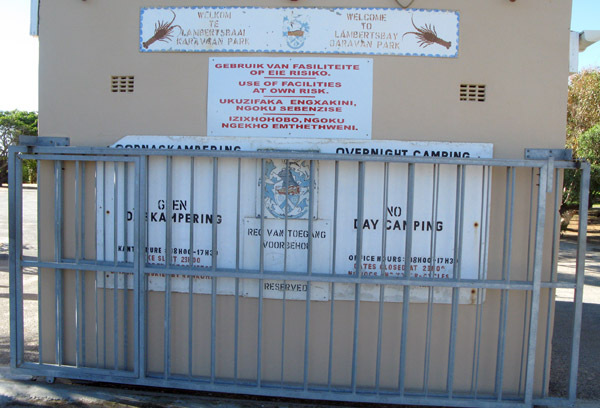 Also, if you do end up at Strandfontein, make sure to check the ablutions before you set-up as a few annoyed caravanner’s had to move when they found they had no hot water. View from the sea front "A" block of the park. 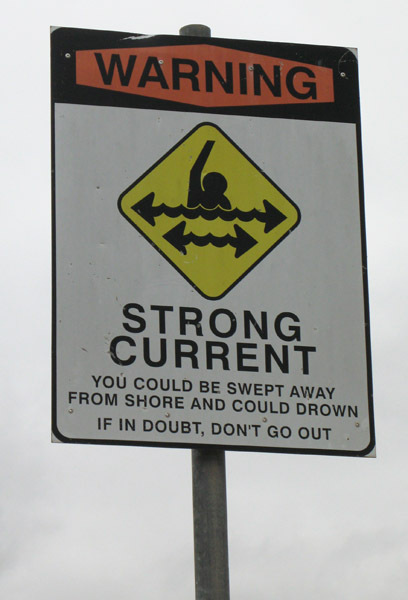 Not so safe bathing? There is however a tidal pool. There are some nice looking chalets for hire. So would I go back to Strandfontein, if after reading this they would let me back in, yes if I was travelling with 2 or 3 others who were paying there own way. I am really starting to get annoyed at the inconsistency of pricing in the caravan park industry. 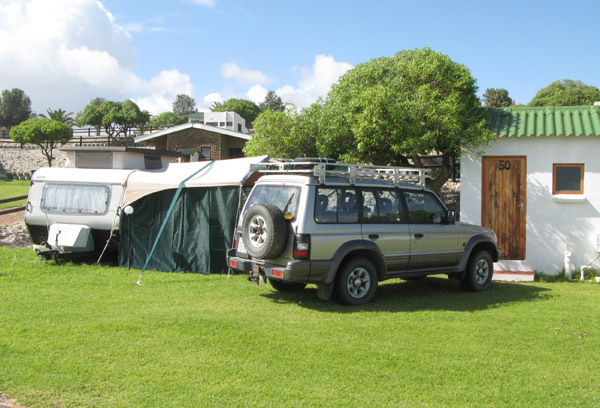 For me 2 of the nicest parks I have stayed in, Springbok and Kamieskroon, have charged me R60.00 and R45.00 per night respectively as they have concessions for people on there own and also if you are over 60 years old. 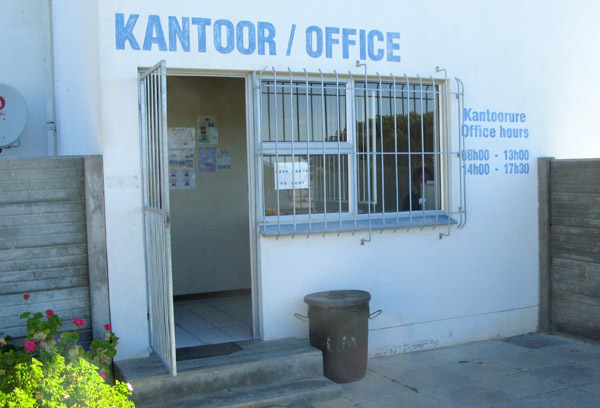 I stopped in at Clanwilliam on my way through to Lamberts Bay and was told I would have to pay R150.00 per night and no concessions. Something is not right! !